You'll enjoy a bit of beach vacationing at Boulders Beach and Bloubergstrand Beach. Discover out-of-the-way places like Fairview Wine and Cheese and Twelve Apostles. You'll find plenty of places to visit near Cape Town: Spice Route Destination (in Suider Paarl) and DV Artisan Chocolate (in Paarl). And it doesn't end there: take some stellar pictures from Cape of Good Hope, head off the coast to Robben Island Museum, and see the interesting displays at South African Jewish Museum. For where to stay, ratings, traveler tips, and more tourist information, use the Cape Town travel route planning tool . Rio de Janeiro, Brazil to Cape Town is an approximately 16-hour flight. You can also do a combination of bus and flight. Due to the time zone difference, you'll lose 5 hours traveling from Rio de Janeiro to Cape Town. Traveling from Rio de Janeiro in June, you will find days in Cape Town are slightly colder (20°C), and nights are cooler (9°C). Wrap up your sightseeing on the 6th (Thu) to allow time to drive to Hermanus. Kick off your visit on the 7th (Fri): enjoy the sand and surf at Grotto Beach, then do a tasting at Raka Wine, and then tour the pleasant surroundings at Panthera Africa - Big Cat Sanctuary. 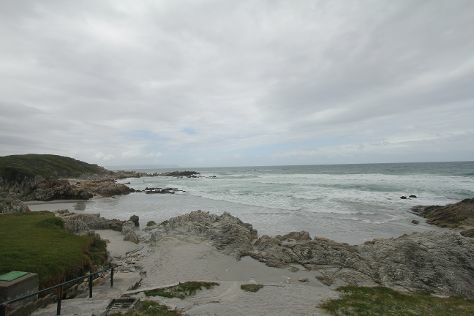 To see traveler tips, photos, reviews, and more tourist information, read our Hermanus trip maker . You can drive from Cape Town to Hermanus in 1.5 hours. Alternatively, you can do a combination of bus and taxi; or do a combination of train and taxi. In June in Hermanus, expect temperatures between 20°C during the day and 9°C at night. Finish your sightseeing early on the 7th (Fri) to allow enough time to travel to Hoedspruit. 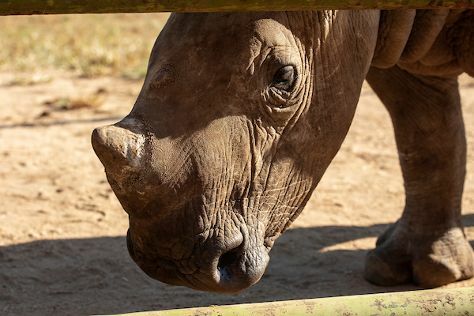 On the 8th (Sat), stroll through Hoedspruit Endangered Species Centre and then stroll through Moholoholo Wildlife Rehab Centre. To find other places to visit, ratings, more things to do, and tourist information, read our Hoedspruit trip itinerary planner . You can do a combination of taxi and flight from Hermanus to Hoedspruit in 4 hours. Other options are to do a combination of taxi, flight, and bus; or drive. When traveling from Hermanus in June, plan for a bit warmer days in Hoedspruit, with highs around 26°C, while nights are about the same with lows around 11°C. Finish your sightseeing early on the 8th (Sat) so you can drive to Graskop. Developed as a campsite for gold miners, Graskop has been transformed into a gateway point for exploring the area's many natural attractions. 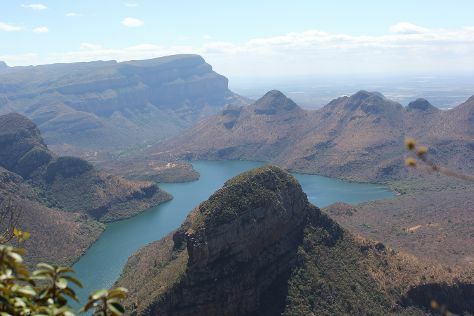 On the 9th (Sun), explore the striking landscape at Bourkes' Luck Potholes, stroll through Wonder View, then cruise along Panorama Route, then don't miss a visit to Panoramic Route Mpumalanga, and finally look for gifts at Ponieskrantz. To find maps, photos, reviews, and other tourist information, read our Graskop road trip planning app . You can drive from Hoedspruit to Graskop in 2 hours. Alternatively, you can do a combination of bus and taxi. Expect a daytime high around 25°C in June, and nighttime lows around 11°C. Cap off your sightseeing on the 9th (Sun) early enough to go by car to Nelspruit. 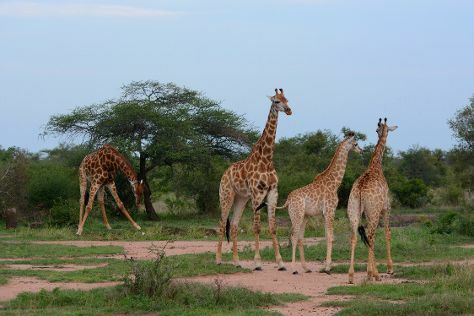 On the 10th (Mon), explore the wealth of natural beauty at Kruger National Park. To see traveler tips, maps, more things to do, and more tourist information, read Nelspruit route builder site . Drive from Graskop to Nelspruit in 1.5 hours. Alternatively, you can do a combination of taxi and bus. In June, daily temperatures in Nelspruit can reach 25°C, while at night they dip to 11°C. Finish up your sightseeing early on the 10th (Mon) so you can travel to Plettenberg Bay. Satisfy your inner culture vulture at Plettenvale Wines and St Peters Anglican Church. Step out of the city life by going to Wilderness Beach and Lawnwood Snake Sanctuary. Change things up with these side-trips from Plettenberg Bay: Knysna (Garden Route (Tsitsikamma, Knysna, Wilderness) National Park, Brenton on Sea, & more). Next up on the itinerary: stroll through Jukani Wildlife Sanctuary and contemplate the waterfront views at Knysna Lagoon. To see photos, ratings, other places to visit, and more tourist information, read our Plettenberg Bay online tour itinerary planner . You can fly from Nelspruit to Plettenberg Bay in 5.5 hours. Alternatively, you can do a combination of flight and bus; or drive. Traveling from Nelspruit in June, expect nights in Plettenberg Bay to be about the same, around 12°C, while days are little chillier, around 22°C. You'll have a few hours on the 15th (Sat) to wrap things up before traveling home.